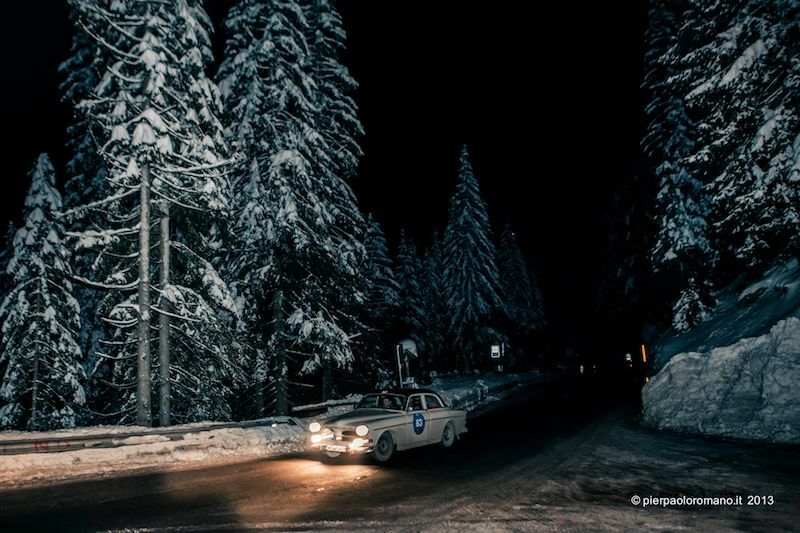 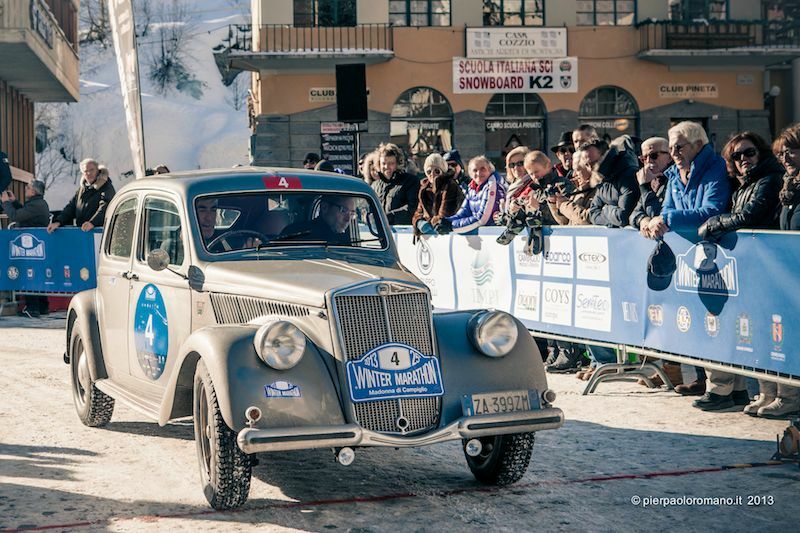 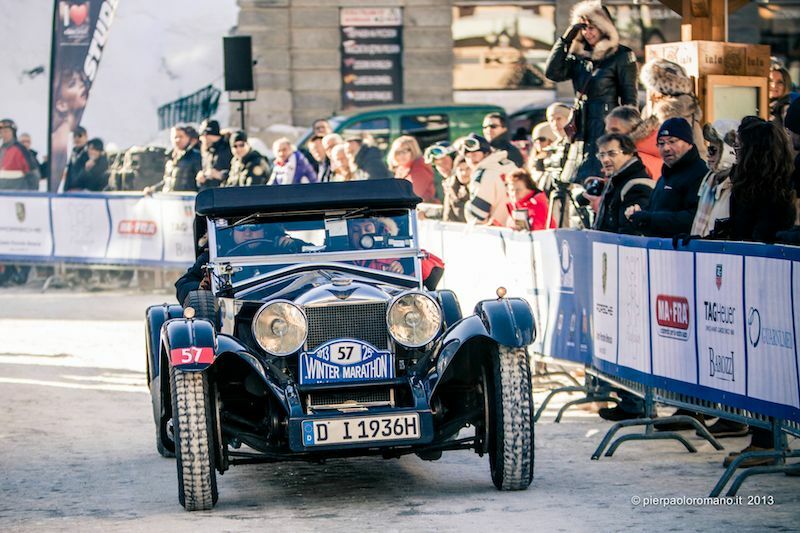 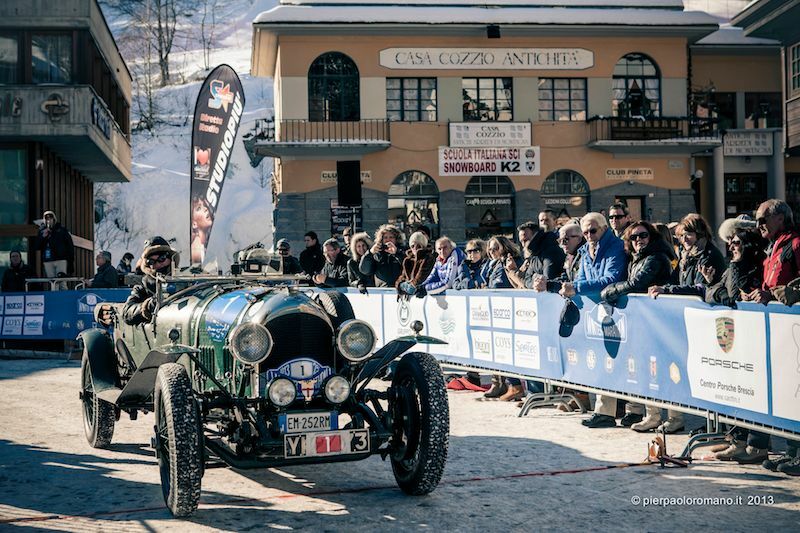 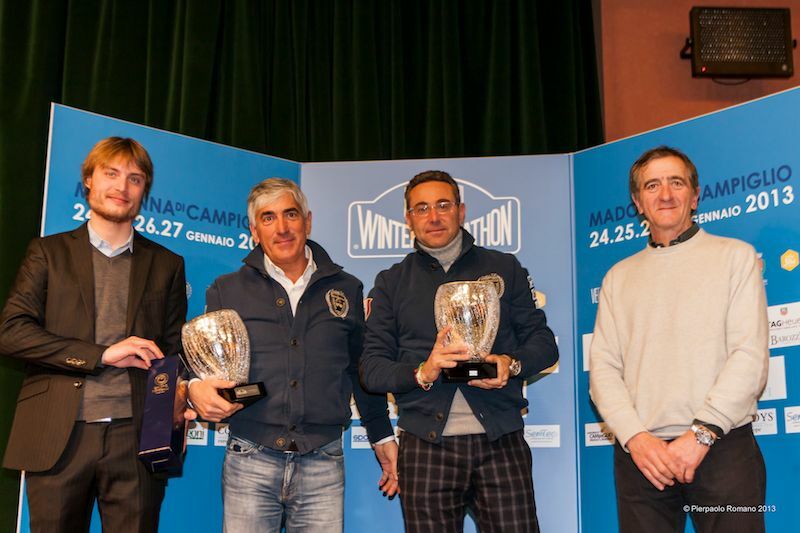 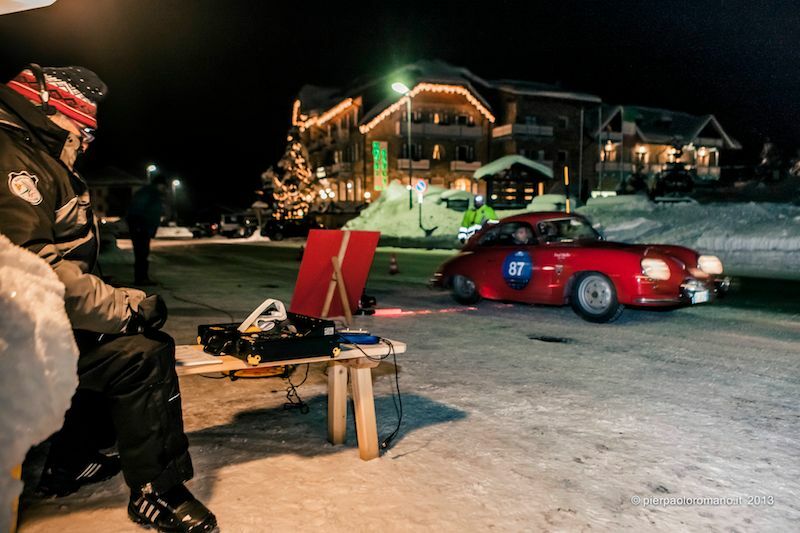 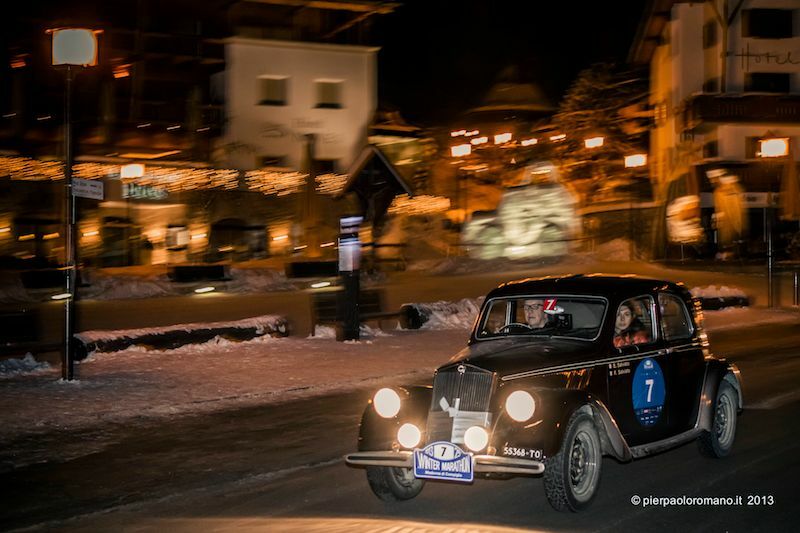 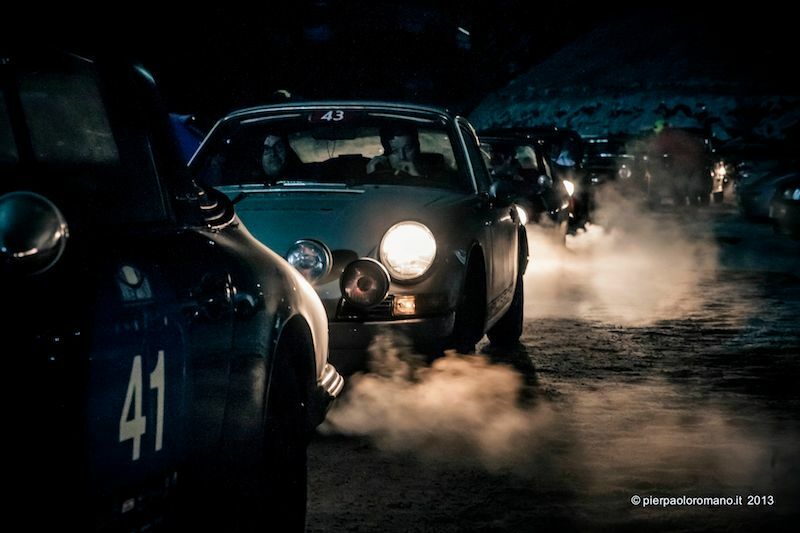 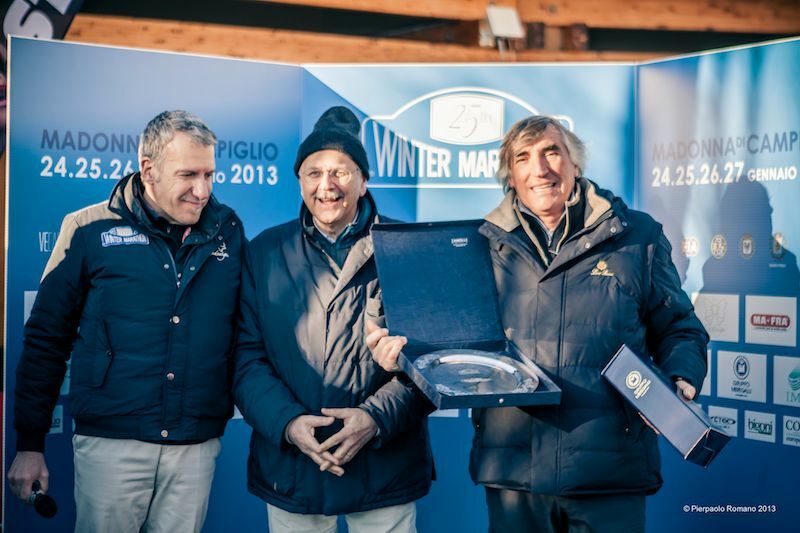 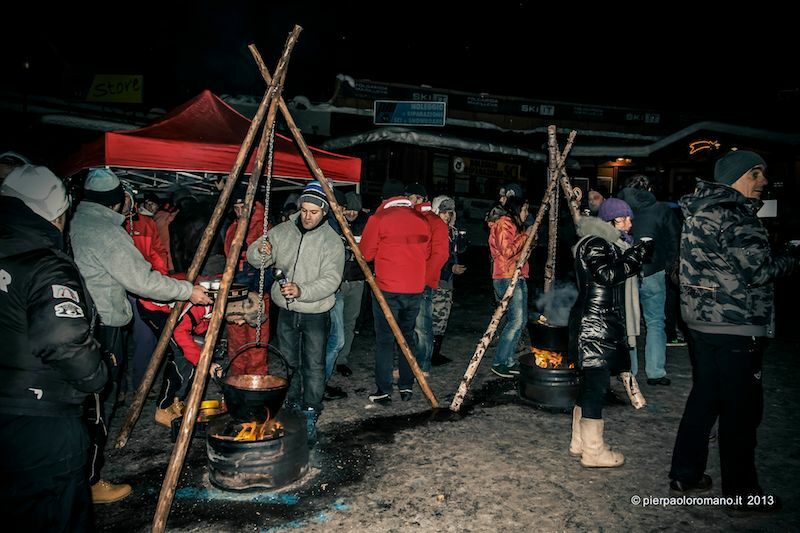 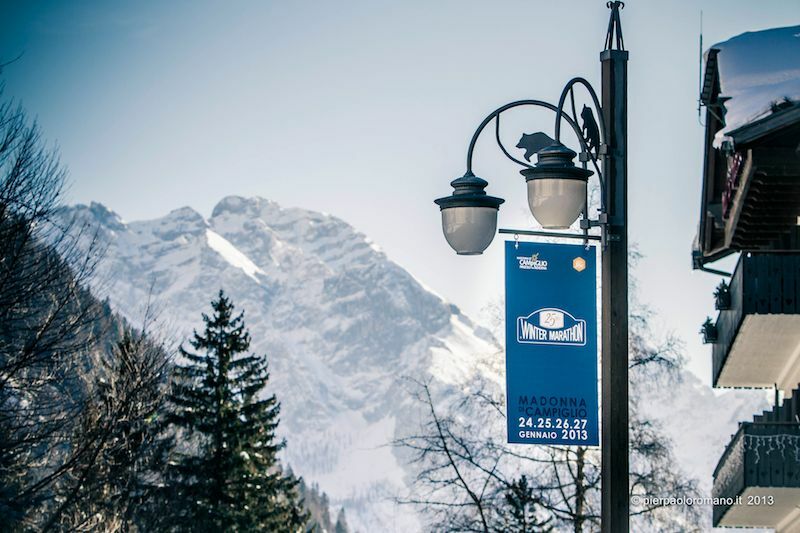 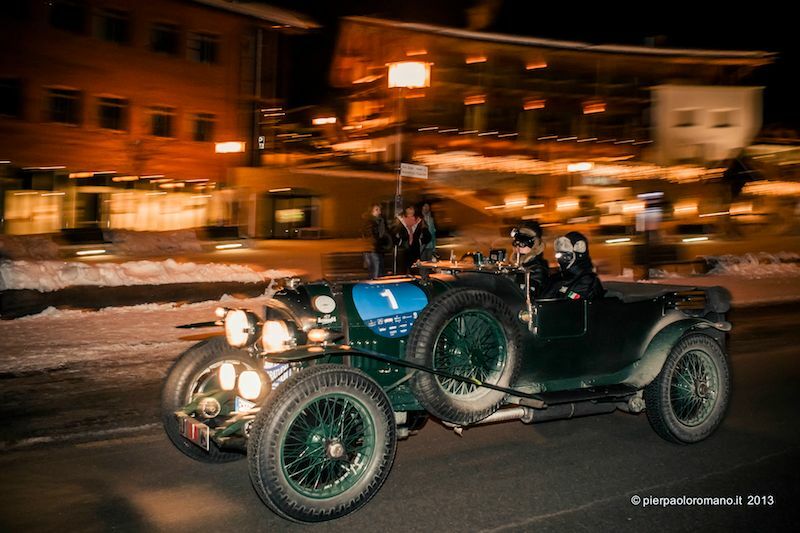 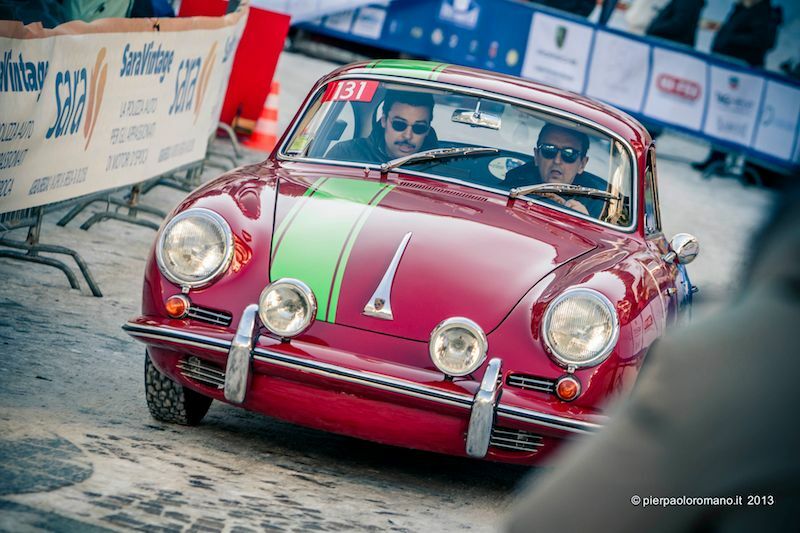 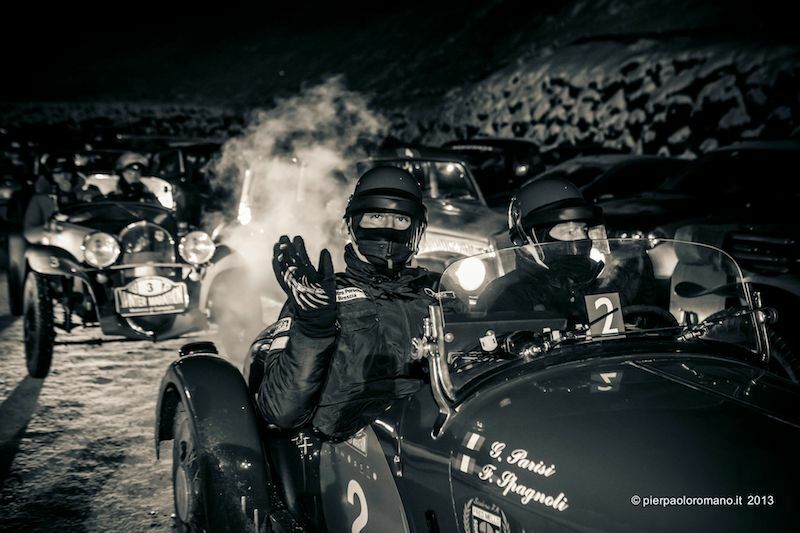 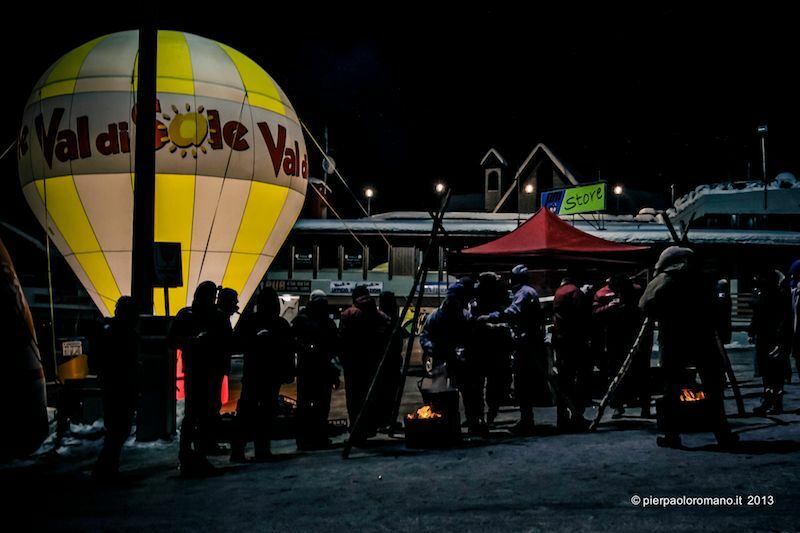 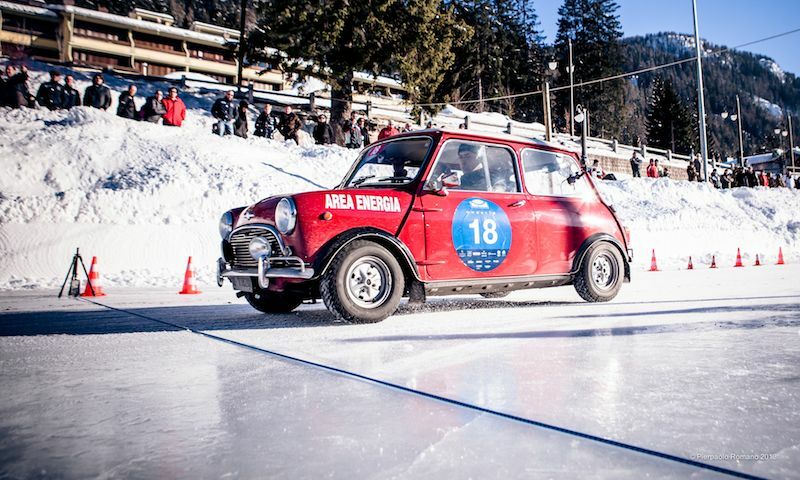 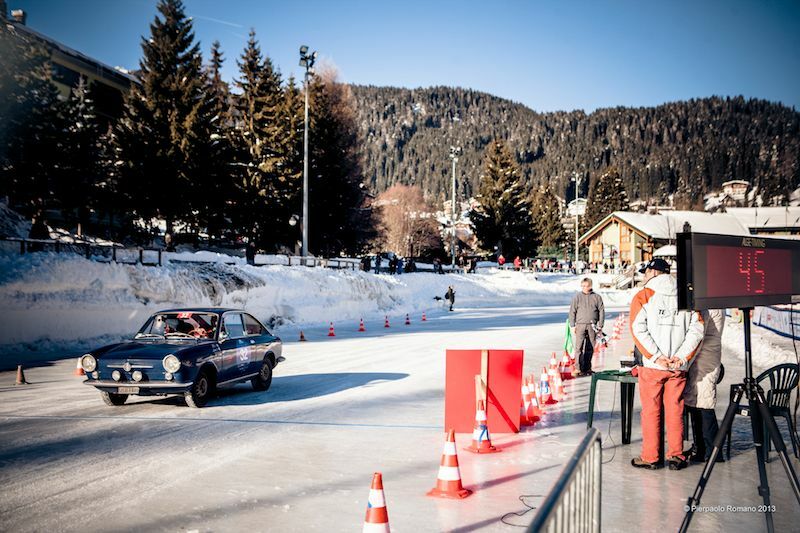 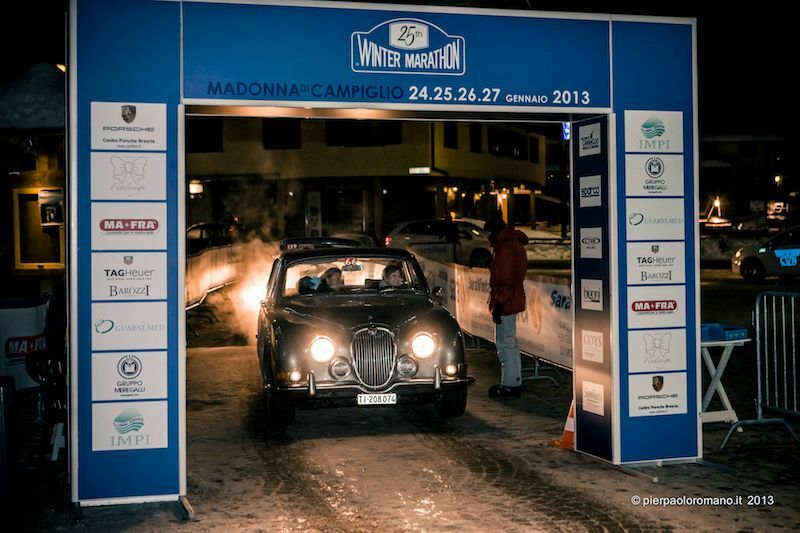 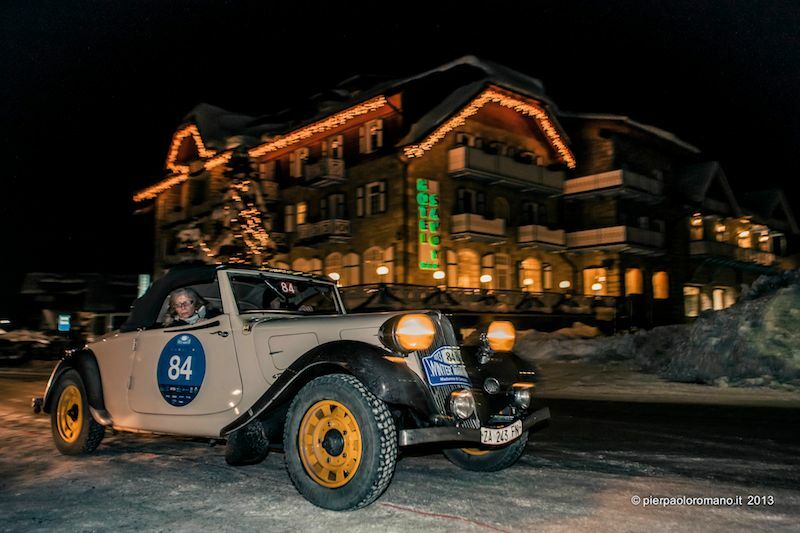 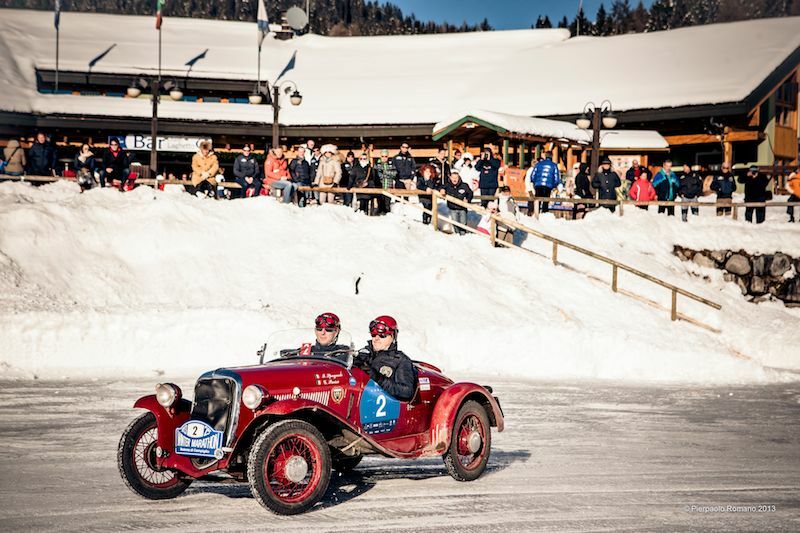 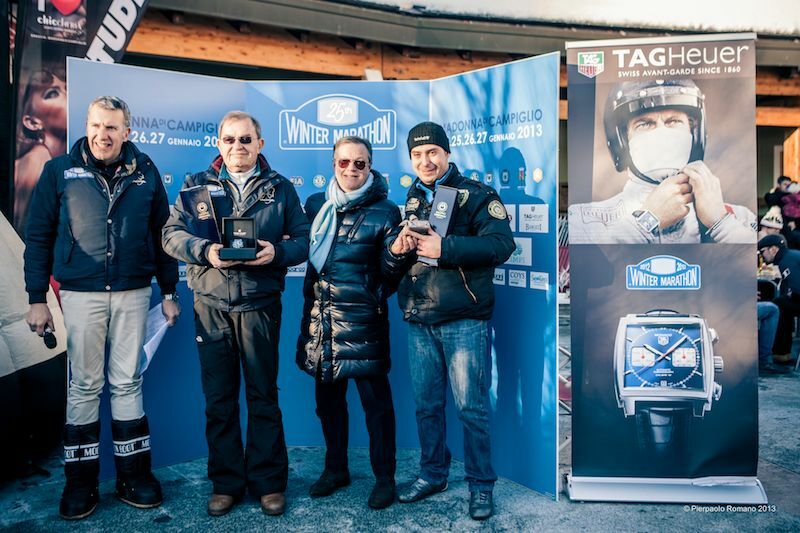 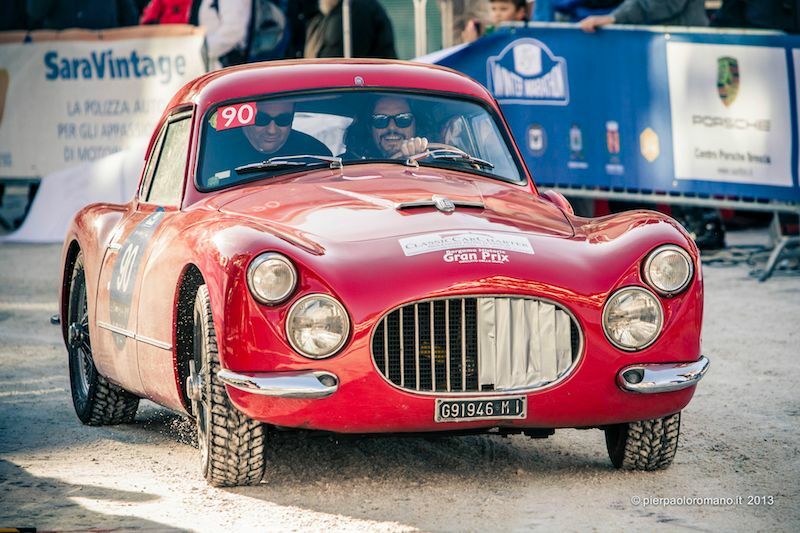 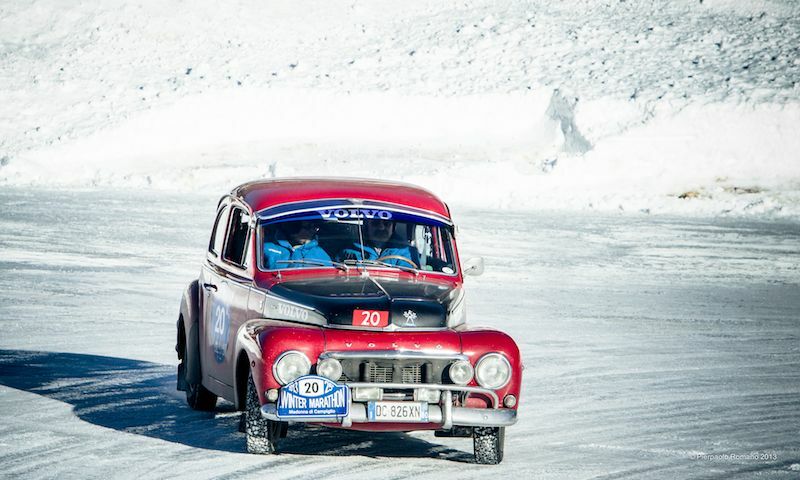 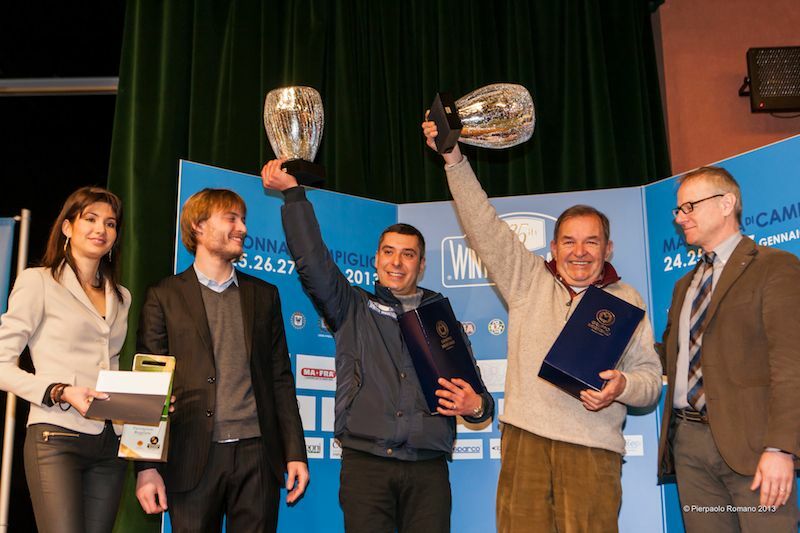 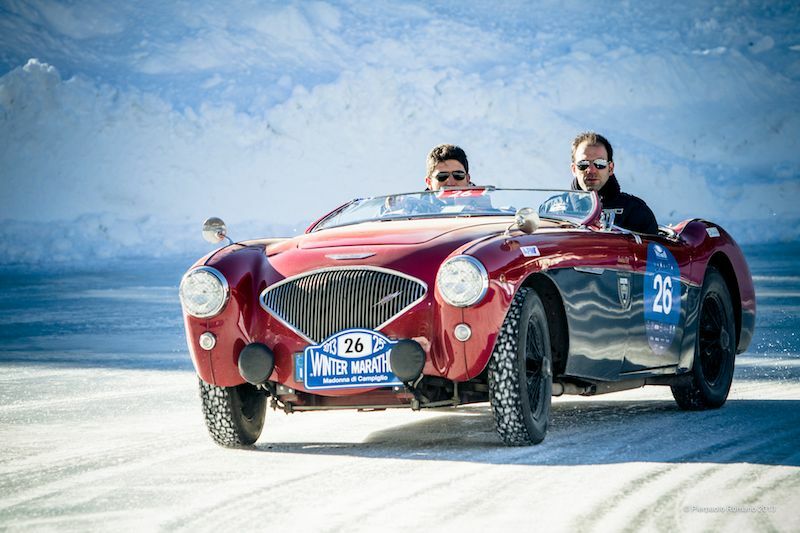 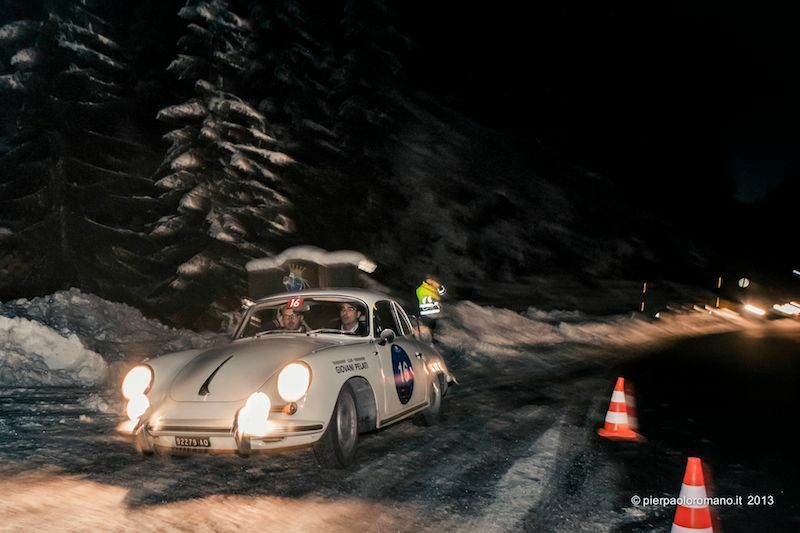 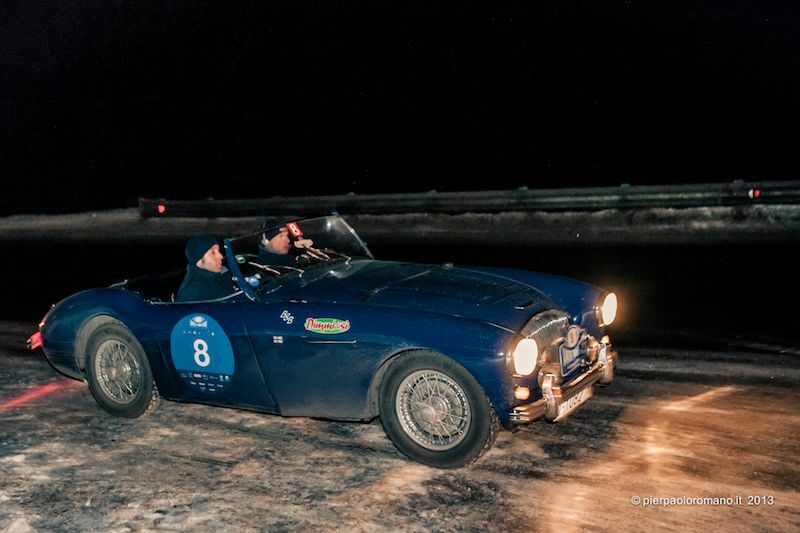 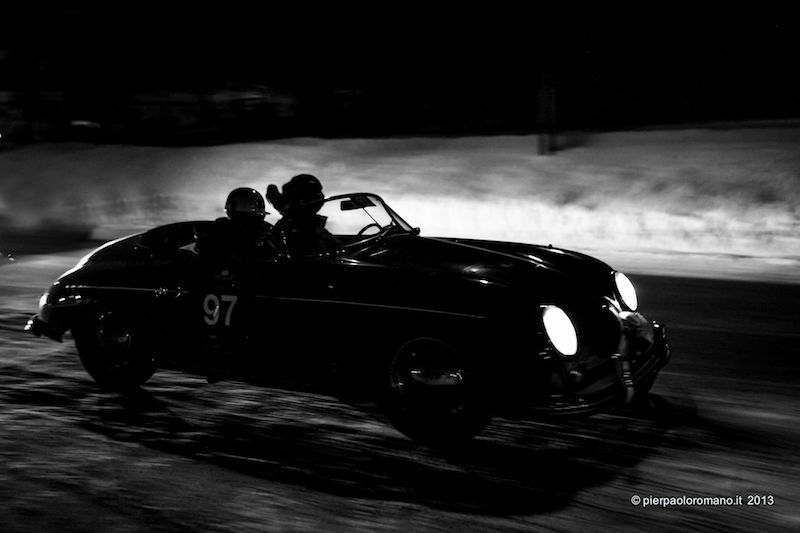 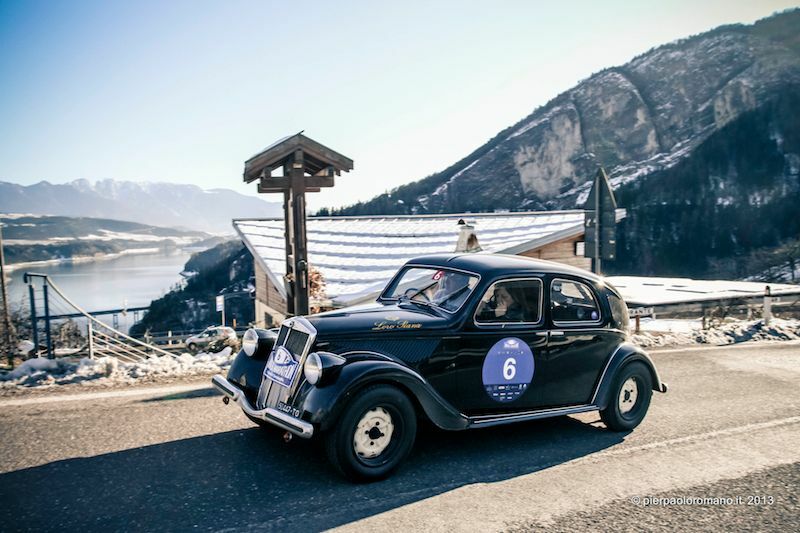 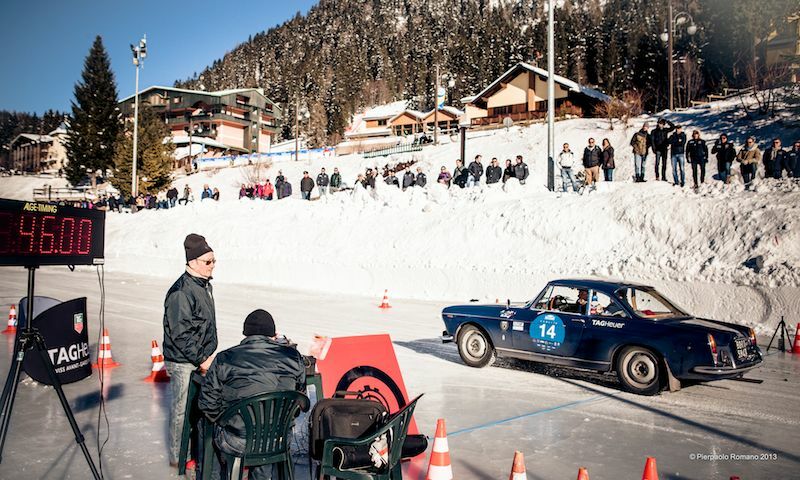 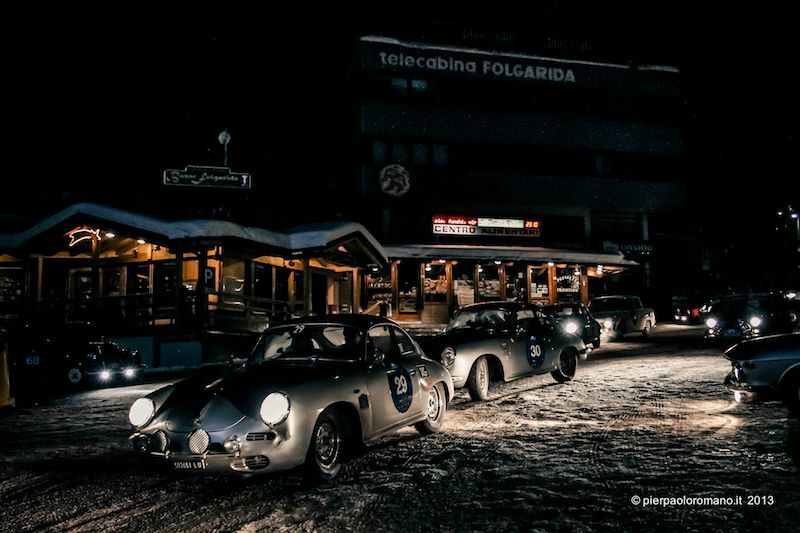 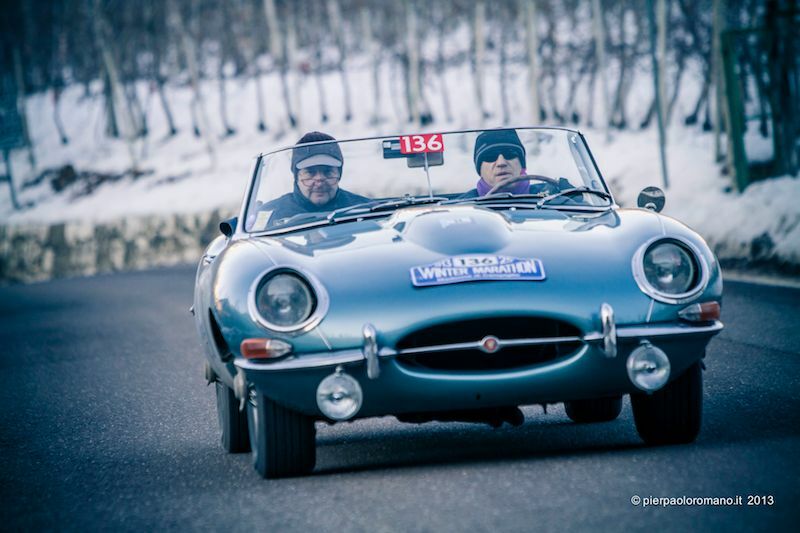 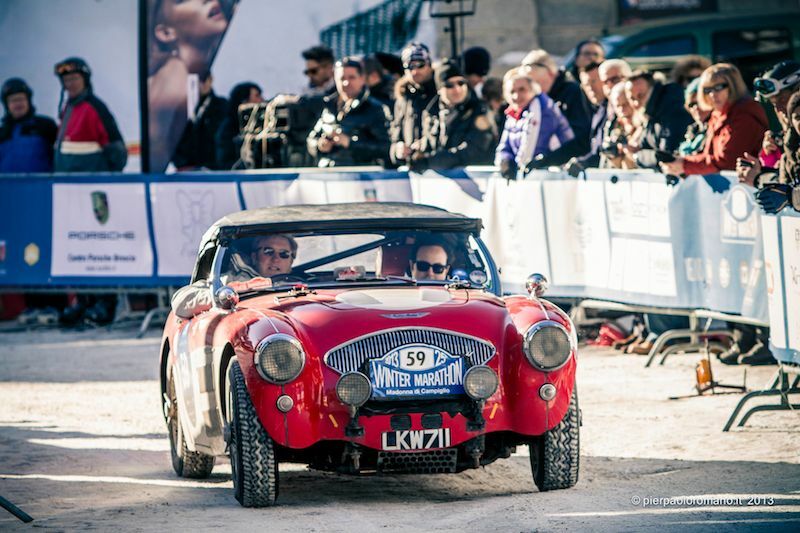 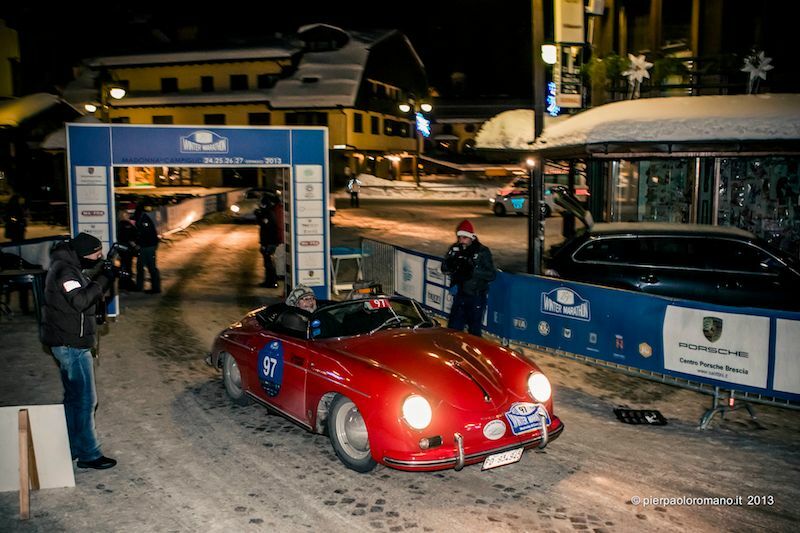 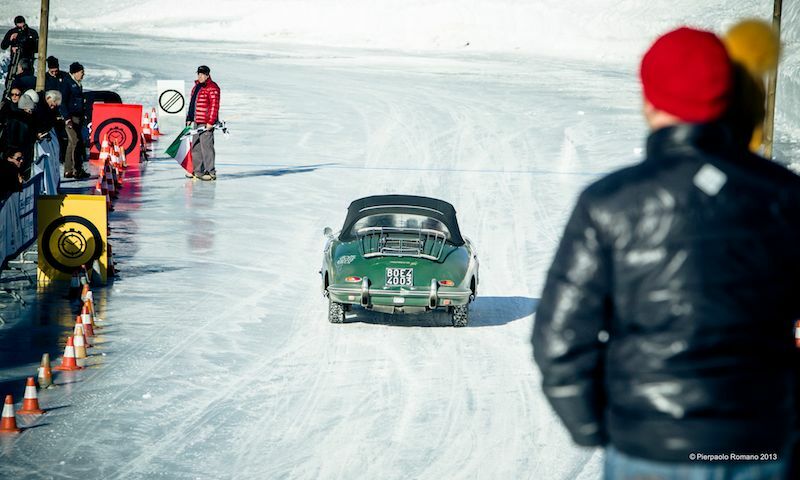 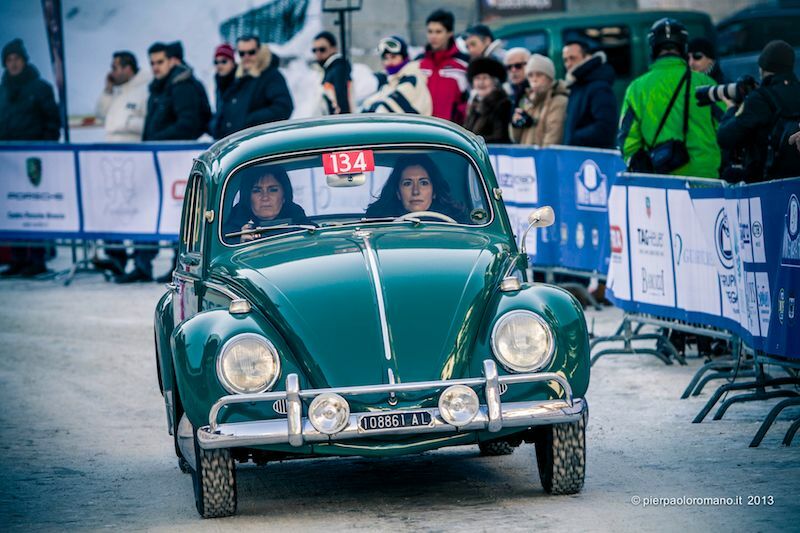 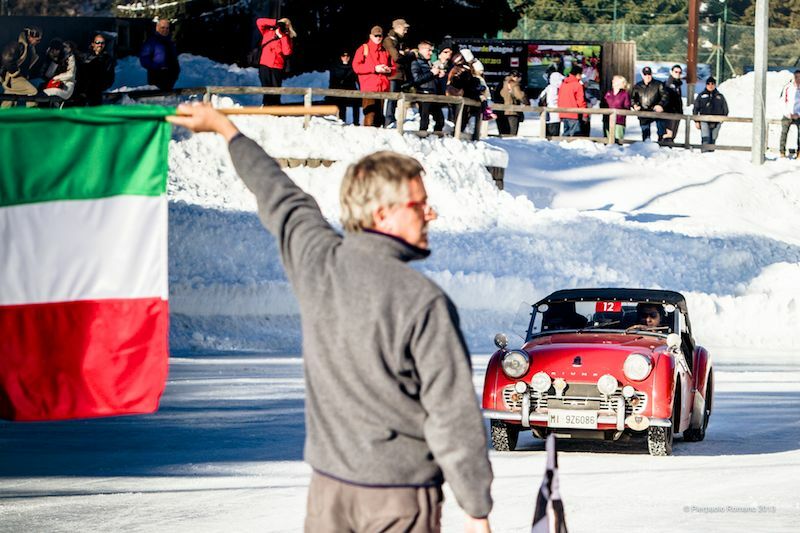 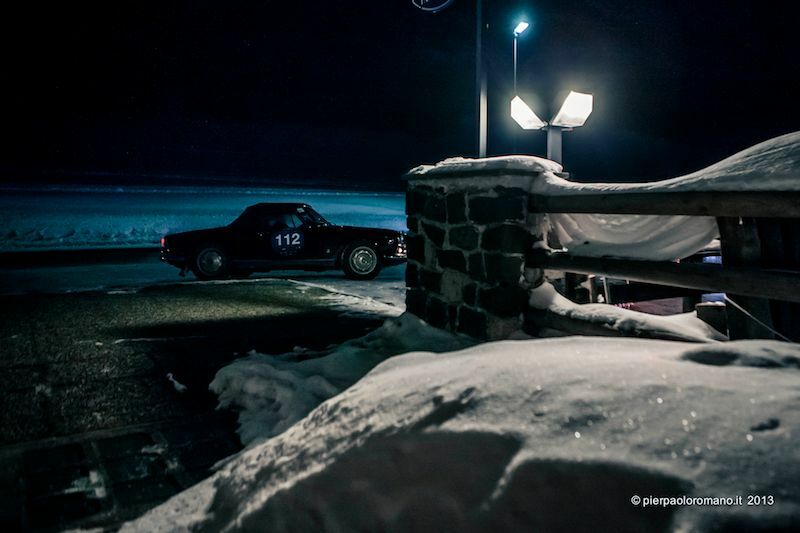 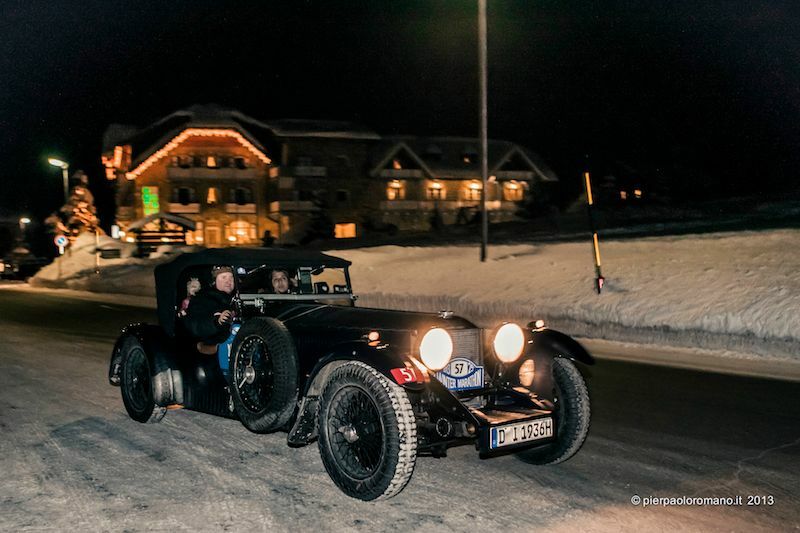 The Winter Marathon Rally 2013 was held 24-27 January at Madonna di Campiglio in the Dolomites of Italy. 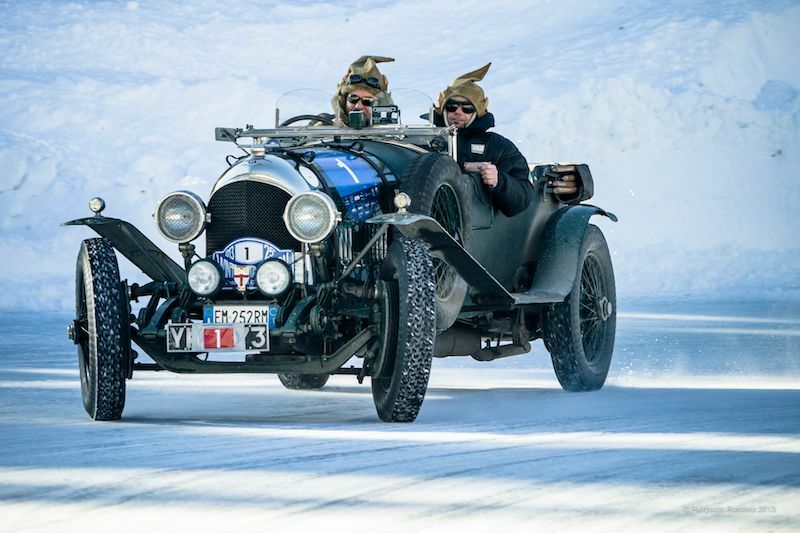 A field of more than 120 historic car teams braved the reliability trial that is as charming as it is difficult, owing to the harsh winter weather. 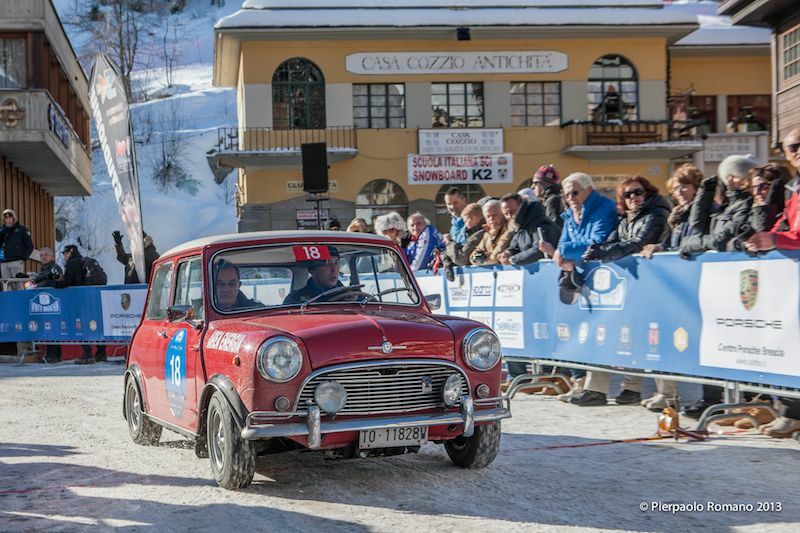 Set against the stunning backdrop of the mountains, the 25th annual Winter Marathon saw the 1965 Morris Mini Cooper S of Antonino Margiotta and Bruno Perno take the overall victory, with second going to the 1940 Lancia Aprilia of Aliverti-Maffi and third place for the Lancia Aprilia of Giuliano Cane and his wife Lucia Galliani. 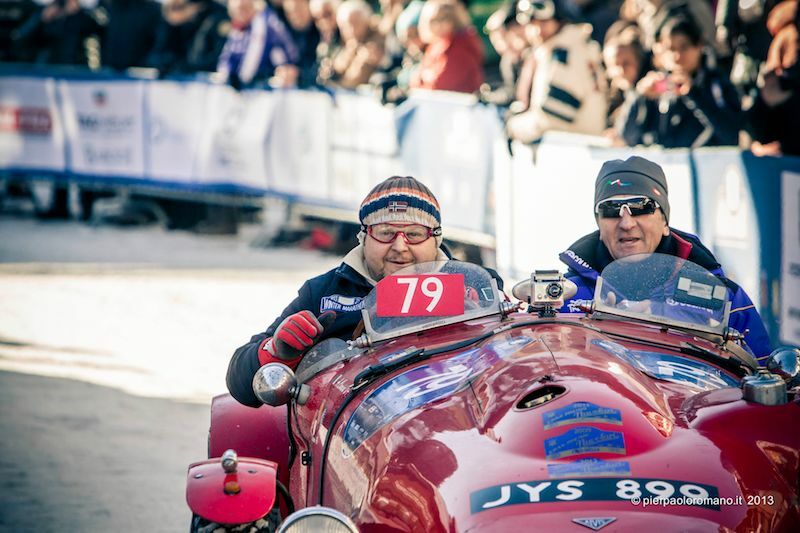 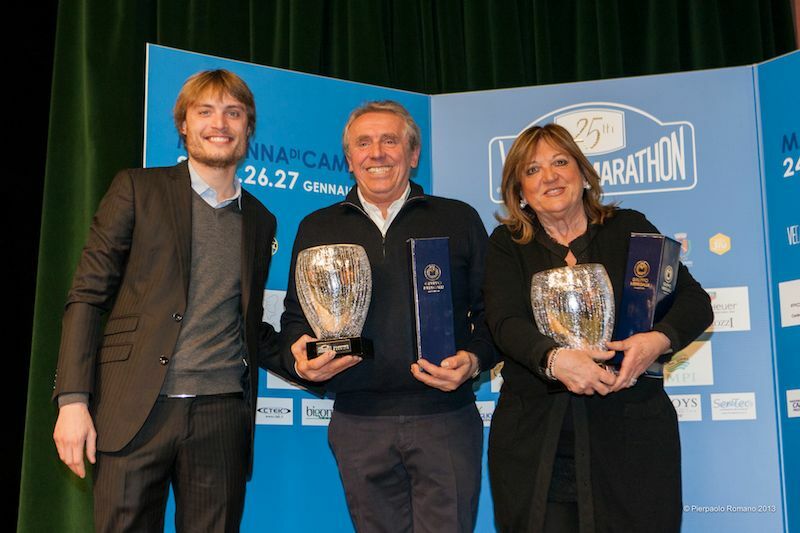 Fourth place went to the 2012 winning team of Ezio and Francesca Salviato (1939 Lancia Aprilia), while Franco Spagnoli and Giuseppe Parisi came home with fifth place in their 1932 Fiat 508 S Balilla Sport. 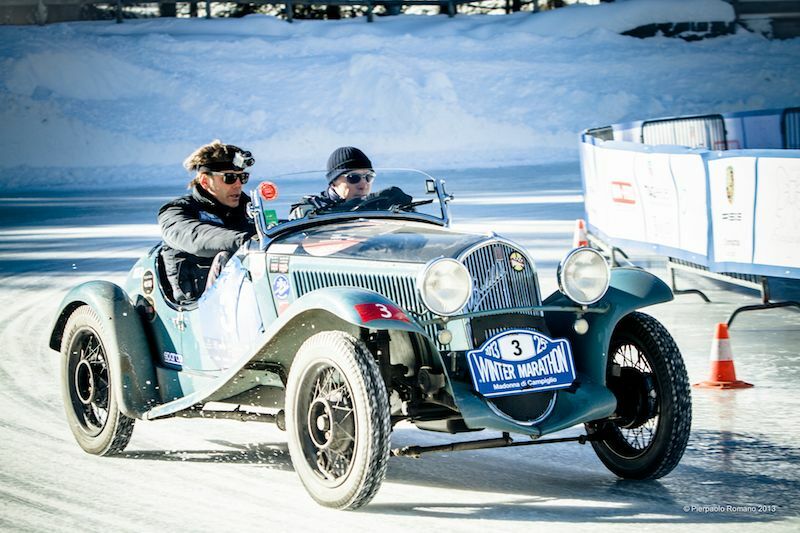 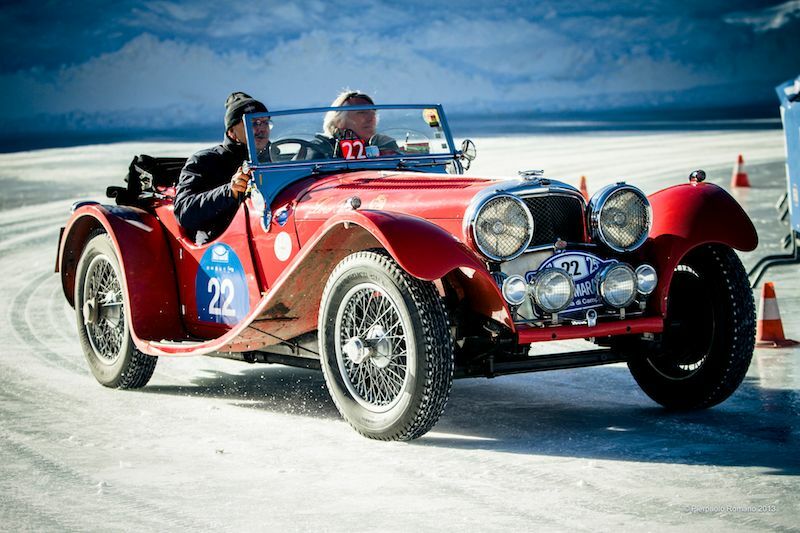 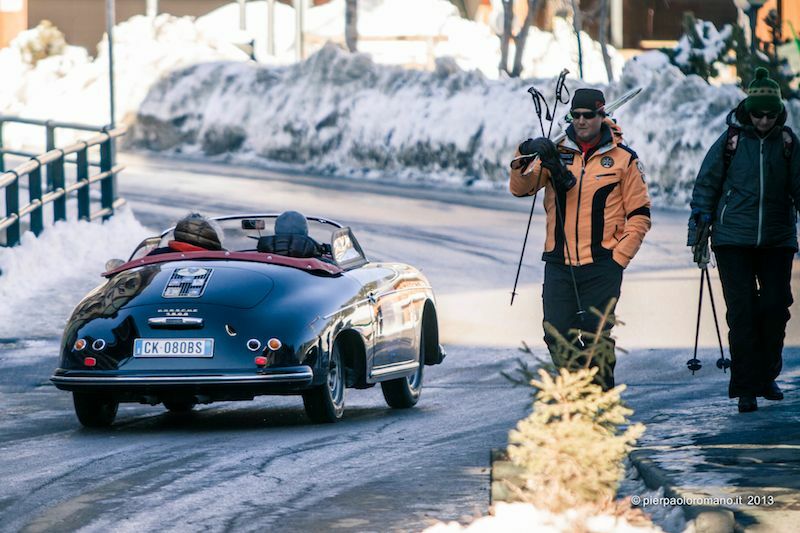 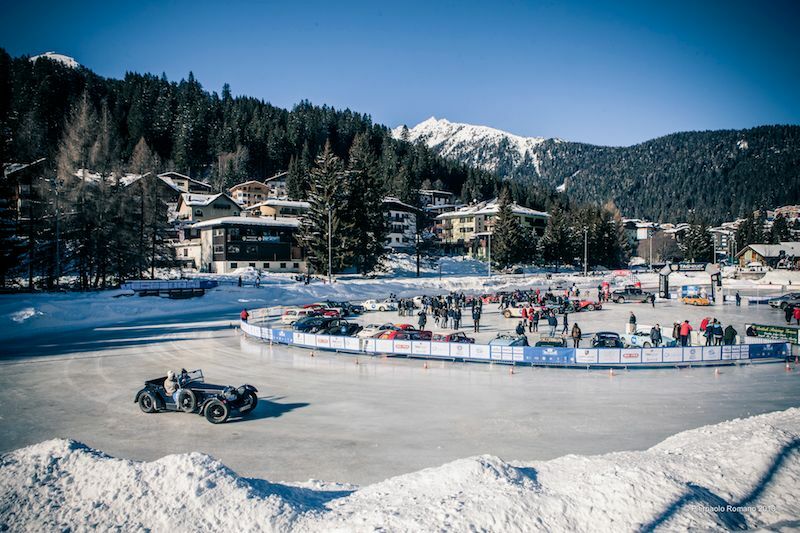 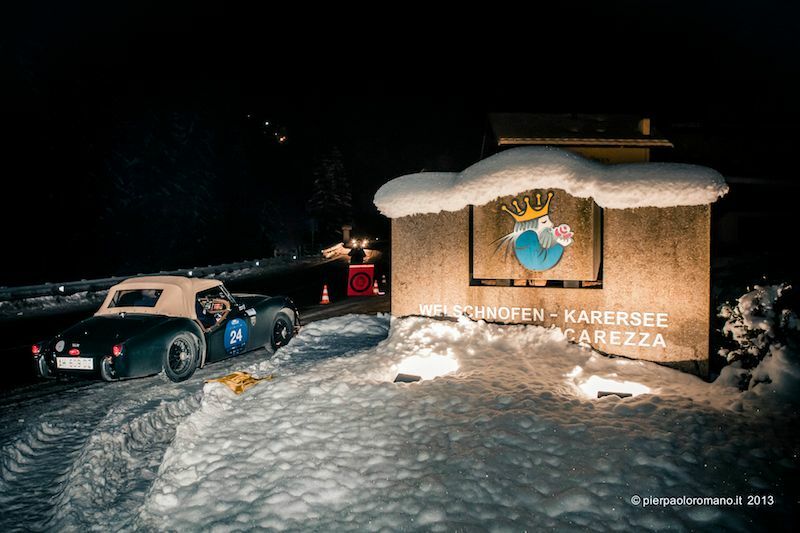 The Winter Marathon is open to automobiles built prior to 1969, with entries as varied as the pre-war 1925 Bentley 3-Litre, 1932 Fiat Siata 508 S Balilla Sport, 1936 Invicta S-Type and 1938 Jaguar SS100 or the post-war 1953 Fiat 8V, 1955 Lancia Aurelia B24S Spider, 1957 BMW 507, 1960 Jensen 541R, 1965 Volvo PV544 and a wide selection of Porsches and Triumphs, among others. 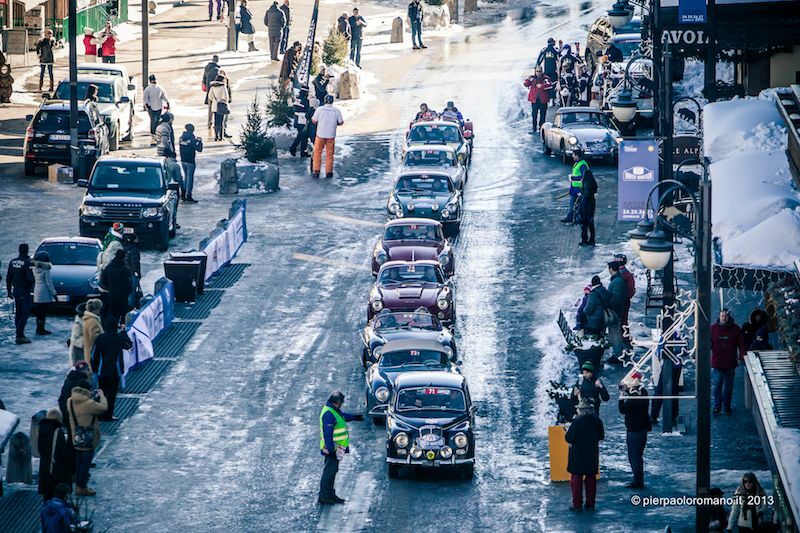 In total, more than 20 marques were represented at this year’s rally. 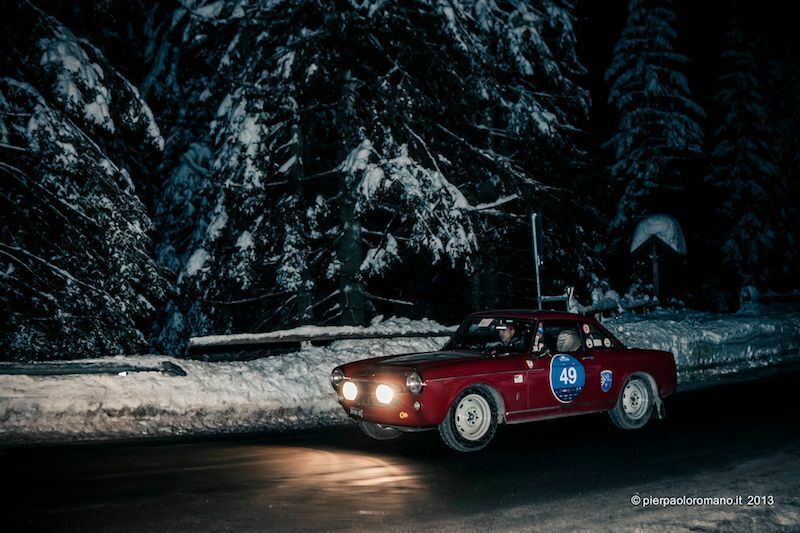 Another notable entrant at the 2013 Winter Marathon was the ‘factory’ Giulia TI Super, specially prepared to tackle this winter contest, from the Alfa Romeo Historic Motoring collection. 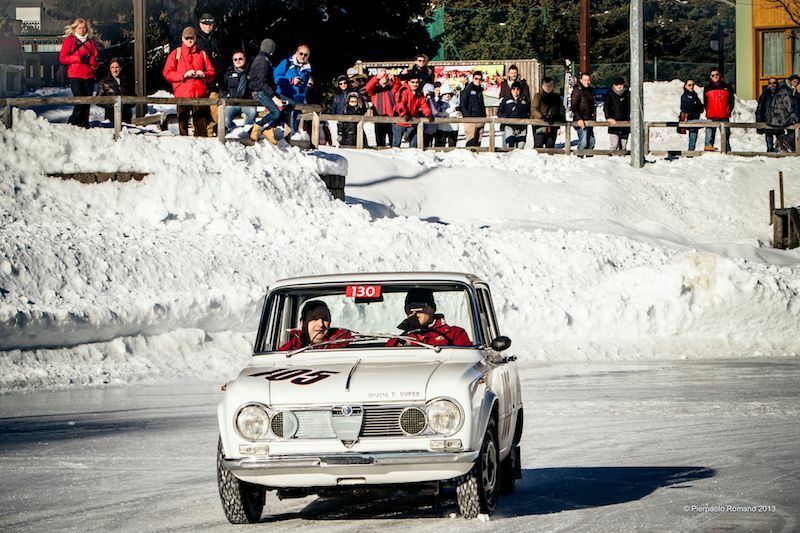 The Giulia TI Super of 1963 is the most rare and prestigious of the Giulias, the ‘ready-to-race’ version, of which 501 examples were produced, almost all in “Biancospino” (hawthorn) colour, with the Quadrifoglio emblem on the sides and tailgate and with a ‘slimmed down’ body to further enhance its outstanding performance. 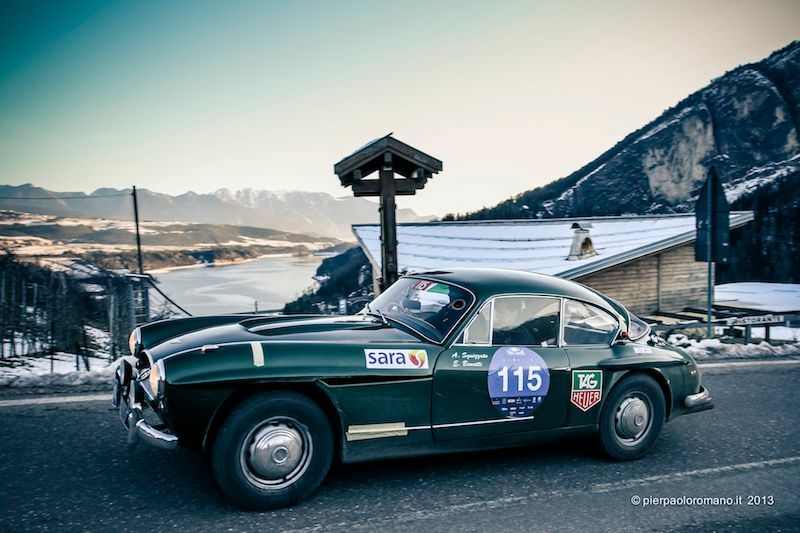 The ‘TI Super’ was particularly suited to road racing, with among its most significant records is the outstanding victory at the ‘Tour de France Auto’ of 1963 with Masoero and Maurin. 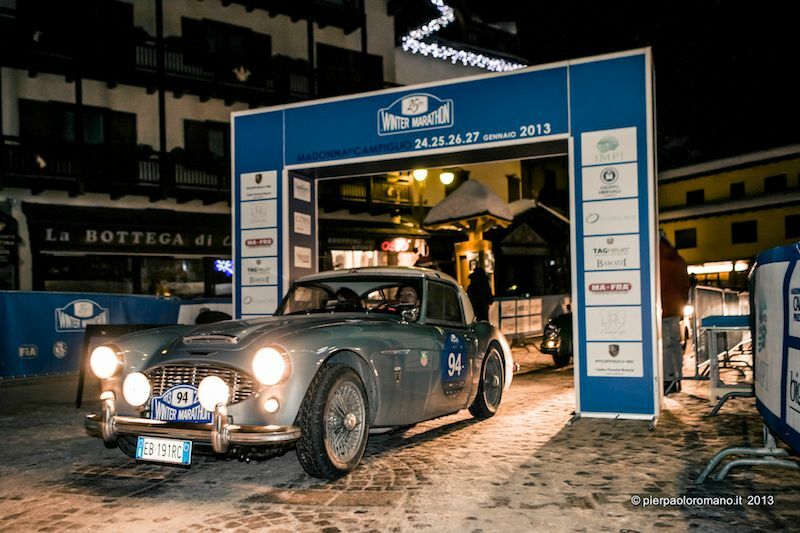 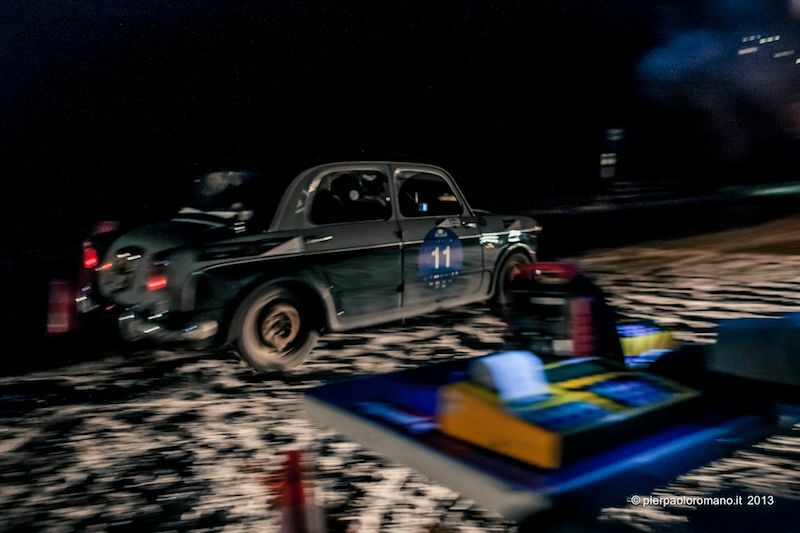 Yes, can visualise Donald Healey driving his Invicta to win the Monte Carlo rally! 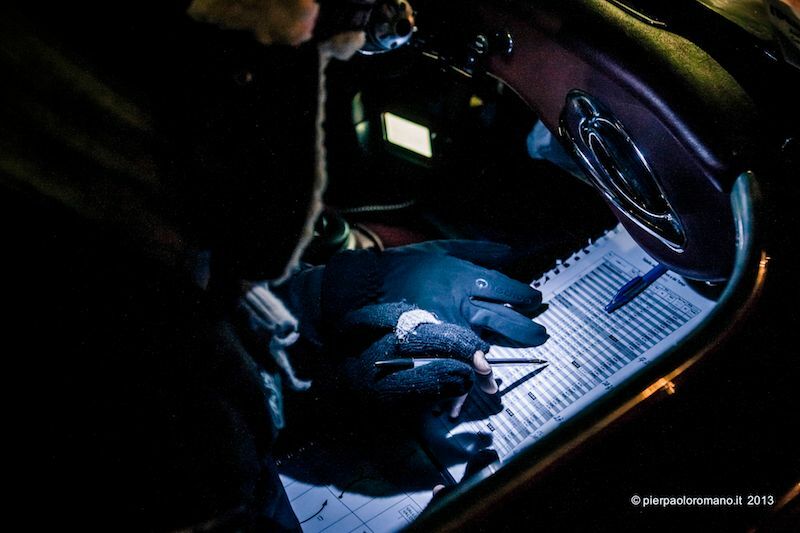 Fantastic report and images – will have to find a way to attend one year!